Scleroderma is a chronic disease that impacts connective tissue. “Scleroderma” comes from the merging of two Greek words—“sclero,” meaning hard, and “derma,” meaning skin. One of the most noticeable of the many symptoms of the disease is a hardening of the skin. Because the disease has no known cause or cure, research is of the utmost importance. So June has been designated as National Scleroderma Awareness Month. To better get the word out, consider National Scleroderma Awareness Month bracelets, as the day is aimed at educating the public about the disease and at raising funds for the all-important research efforts. Scleroderma is an autoimmune disease that impacts connective tissue. Victims of the disease can suffer from hardening of the skin, stiff joints, digestive issues, lung scarring, and kidney failure. According to The American College of Rheumatology, about 75,000 to 100,000 people in the U.S. suffer from this disease, and most are women aged 30 to 50. Although there is no cure for the disease, promising research indicates that there may soon be better treatments and perhaps a cure. Many of our wristbands can be created with our easy-to-use online tool. Or, call us and our professional and friendly customer service agents will help you. When purchasing custom wristbands online, be sure to work with a vendor who offers only 100% latex-free wristbands. At Amazing Wristbands, all our silicone products are non-allergenic and latex-free. We offer free shipping, free artwork, free design, and free color matching. There are no minimum order requirements on our most popular wristband styles, and your custom bands will ship within 10-15 days. 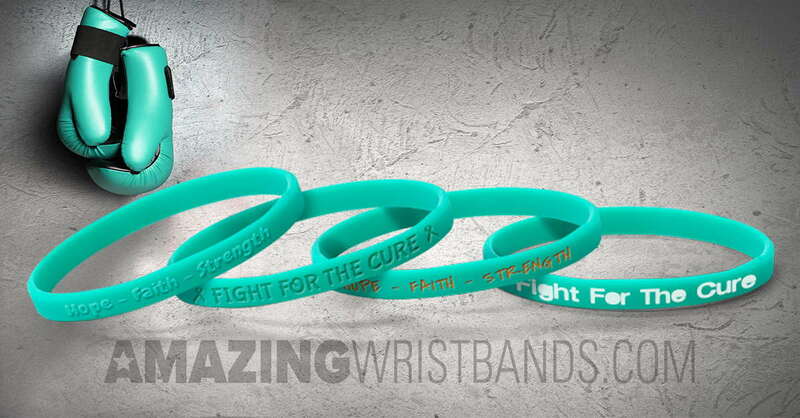 Build your own National Scleroderma Awareness Month wristbands online today!